Just a short ride from Liverpool St Station delivered me to Walthamstow and a short walk from the station took me to the modest terrace where Mia works. 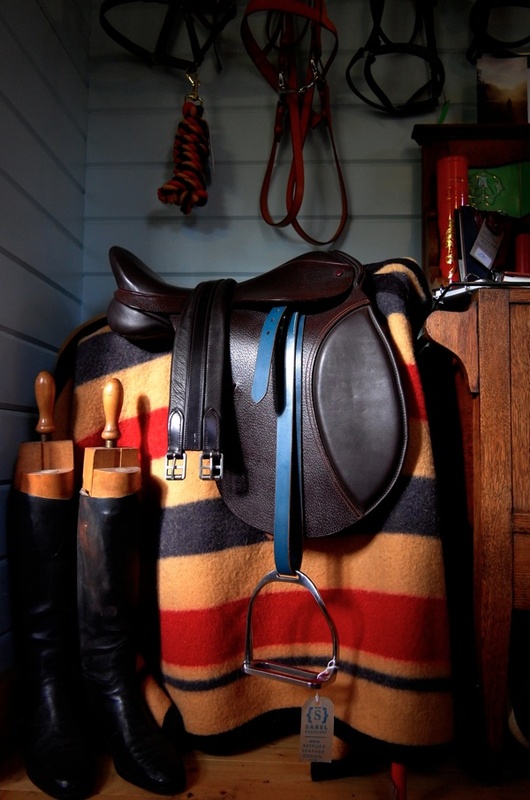 Through a side gate, I entered the large garden where a log cabin with a wood-burning stove, surrounded by raised vegetable beds, provided the ideal location for an urban saddlery. 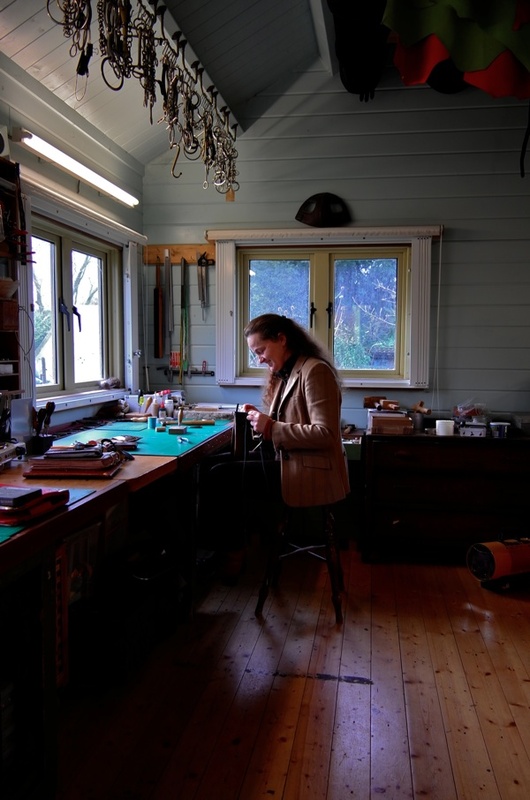 Here in this enclave of peace Mia sat in the winter sunlight, illuminated like a woman painted by Vermeer, yet cutting and stitching leather with the skill of a Master Saddler. It was an extraordinary discovery in the modern world, although equally a phenomenon of our times – since Mia used to work in the corporate financial sector and take the trip down to Liverpool St Station, until she set out to redirect her life towards independence by acquiring manual skills. 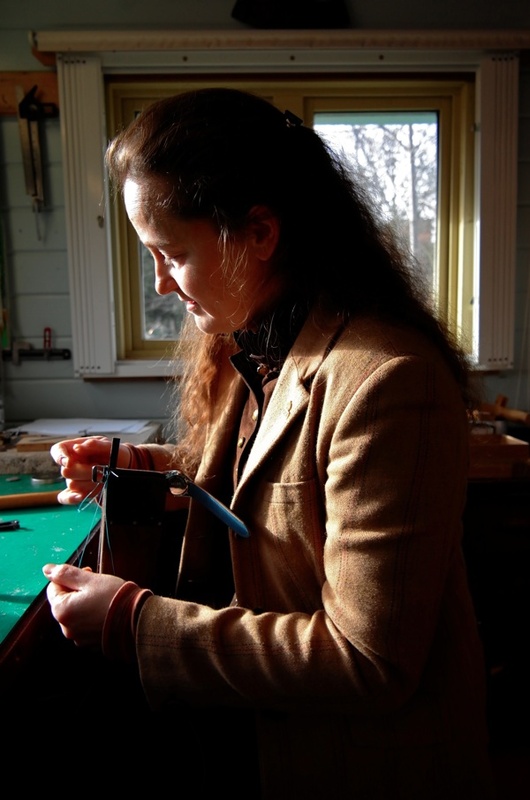 Mia’s example fascinates me as the inverse of the familiar pattern in the East End where, through successive generations, traditional skills have been lost as the notion of a white collar desk job won precedence over working with your hands. 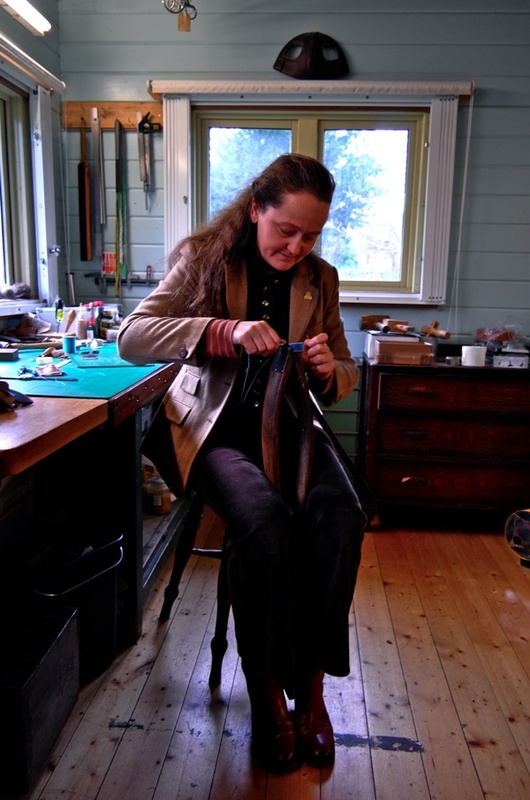 The irony is that Mia is able to complement her ability as a saddler with years of experience in the business world, granting her the acumen to make a living at this ancient trade. Yet when you see Mia at work, the wonder is her scrupulous attention to technique. Even a humble line of stitching requires the precise choice of punch to make the correct-sized holes for the thread, the selection of the thread itself, the waxing of the thread and then the patience to work simultaneously with two needles and get the stitches perfectly even, and to ease the leather apart so it does not tear – all while holding the leatherwork in an ancient wooden clamp, known as a ‘clam.’ It is a beautiful thing to see such a fundamental task perfectly achieved. “It was very physical and hard, it was for sixteen year olds. Quite a lot of the girls came from a horsey background whereas I am in a suburb with not a lot of horses around me,” Mia explained, looking up from her work with a grin of recognition, “I understood I couldn’t make a living making saddles, even though I know how to do that, so I’ve learnt to make bespoke luxury leather goods.” The custom watch strap has emerged as Mia’s unique speciality, permitting her the opportunity to make a strap that fits the wearer so precisely it only requires one hole for fastening. 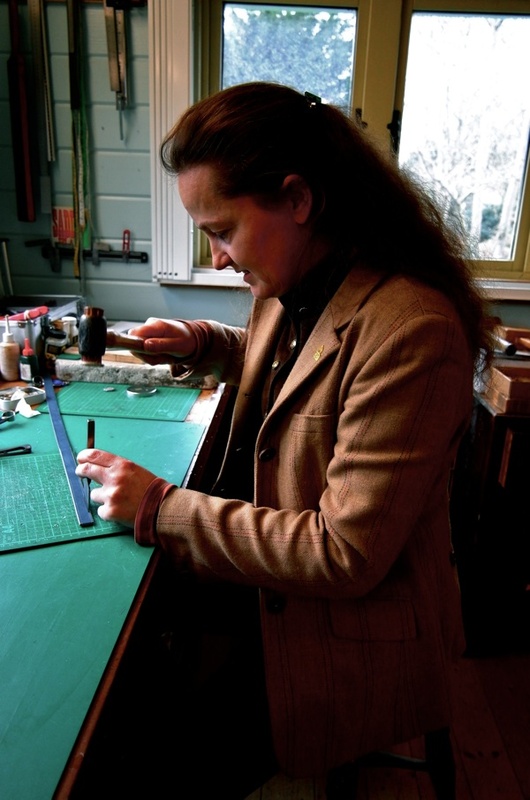 Mia Sabel is available for all kinds of leatherwork commissions and restoration work. Congratulations to you Mia – it is wonderful to see you using your talent and skills to create something so worthwhile and lasting and which will be appreciated for years to come. Clam. A word old to me, a sense new to me. Thank you. It takes courage to do that. And Mia is right, expensive leather bags are often badly stiched. And. G.A, where do you find all this wonderful people? Thank you. 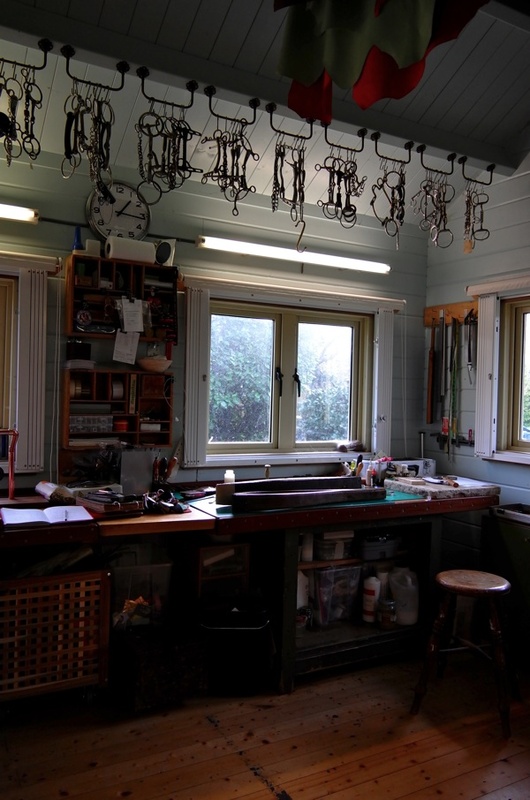 Great to see a really skilled person at work – and I bet her workshop smells lovely too! You are spot on and have hit the bulls eye with this article once again. This is such a worthwhile trade that people actually need. 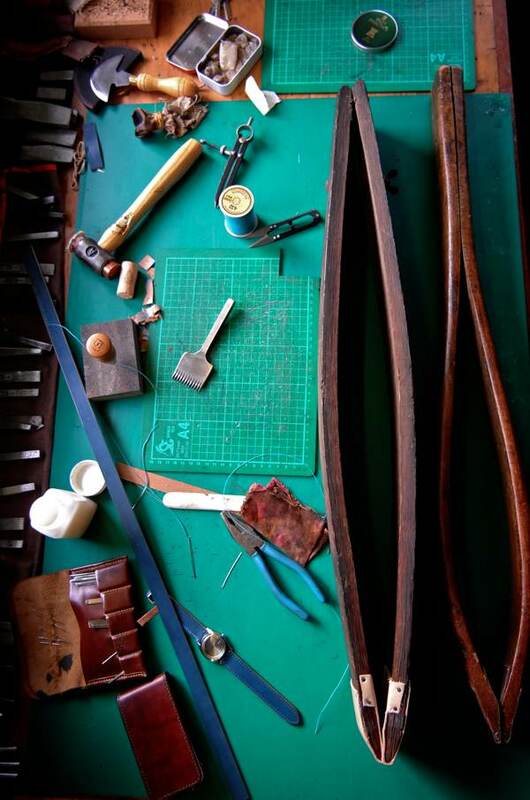 Leather is made to last and last and it can be repaired and restored to make it even look better when it ages. I once knew someone who had a stall in Camden market that did well from just selling restored old leather suitcases. Mia did well to get out of the City and discover and use the handcraft skills which she must of inherited from her grandfather . I wish her well ! You are so right about the culture I recall whilst we were at school in the East End how most of the boys who left either ended up in the print trade or banking . It was looked down upon to go into a job where you had to use your hands . I suppose it was the big money and false prestige earned from city jobs that was the attraction. I followed that path myself and ended up in the city when I left school and also found it was not for me. My hat’s off to Mia for taking a path not often trod. Back in boarding school, I crafted a leather wallet for my Dad and used the double needle – one thread method…..brought back fond memories. You know your telling of the lives of good and contented people, like this one about Mia, help us realize just how rich and full our lives can be. What a beautiful story. May Mia’s work continue to fulfil, and hopefully inspire others to step out of their comfort zones to develop their own skills.